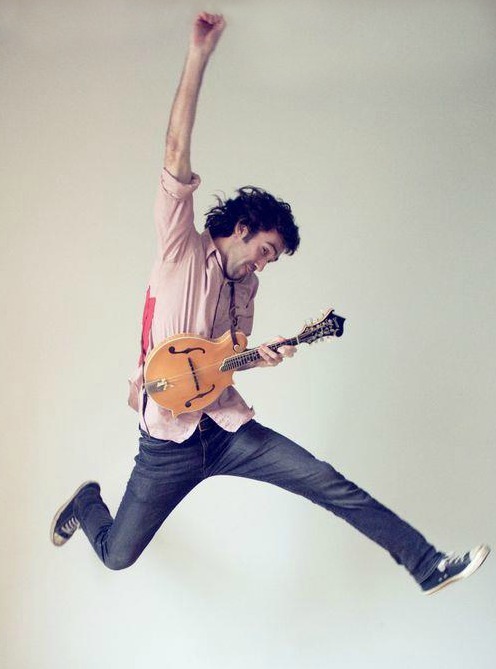 Jack Dwyer got his start in a family bluegrass band in the wilds of Alaska, and was a gigging musician in New York City before he entered his teens. Years of playing have put him onstage with many great musicians including Peter Rowan, Bill Keith, Jay Ungar and Molly Mason, The Mammals and others. These days he has found a home in the vibrant music scene of Portland, OR, where he teaches at Lewis and Clark College. His latest project is with multi-talented West Coast guitar picker Scott Law, and the group recently appeared at this year’s Wintergrass Festival. In January 2013, he collaborated with fellow Portland mandolinist and Lewis and Clark adjunct Tim Connell to release Mando Planet, a collection of instrumental world music mandolin duets. Tim and I had the opportunity to travel to Wintergrass 2013 near Seattle – with Mando Planet: featuring Jack Dwyer & Tim Connell marked in our program as a must-see, and their show was a highlight of the festival. Their upcoming East Coast tour means you don’t need to travel to the Northwest to see them; they’re coming to you! To save seats for their house concert performance at Chestnut House Concerts email Tim Lehman at tlehman9@gmail.com or call/text 717-940-9311. There is a traditional pot-luck at 6:00 p.m. and the show begins at 7:00 p.m. A suggested donation of $15-20 with all money going directly to the musicians.